This is one I used for a beginners sling class. 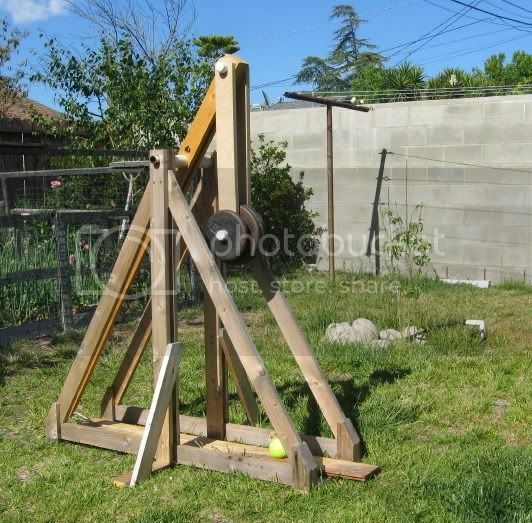 Tennis balls are nice safe ammo for beginners to use and are easy to find once you learn to send them a long way. 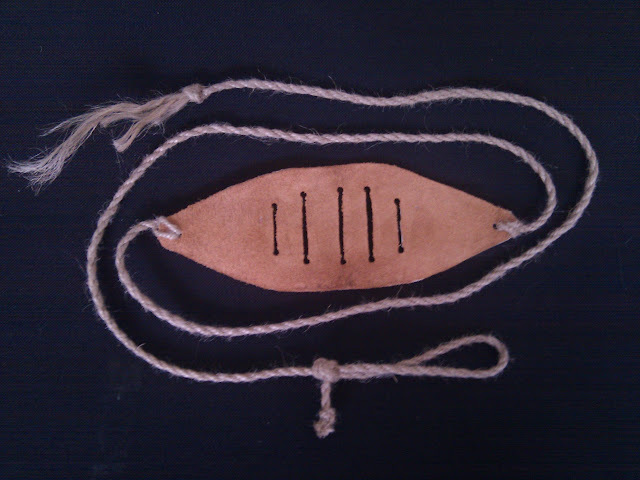 The pouch is of leather, 8 inches long and 3 inches wide (20cm x 7cm). 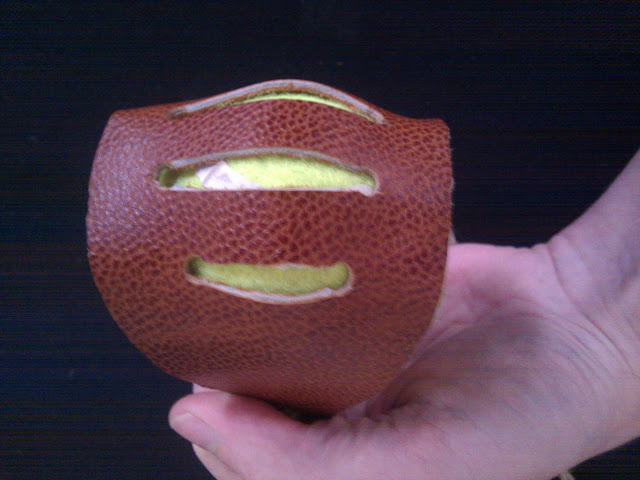 The slits across the center of the pouch allow the leather to cup itself around the ball. These are made by making holes with a leather punch and cutting between them with a sharp knife to remove a narrow strip. The cords are of stout jute string from a gardening store, folded in half and reverse twisted by hand so the final cord is two strands thick. It attaches by pushing the folded end through a punched hole in the pouch from the outside, untwisting it and feeding the rest of the cord through the loop. The cord length is 25 inches (64 cm) each for a final loaded length of 29 inches (75 cm). 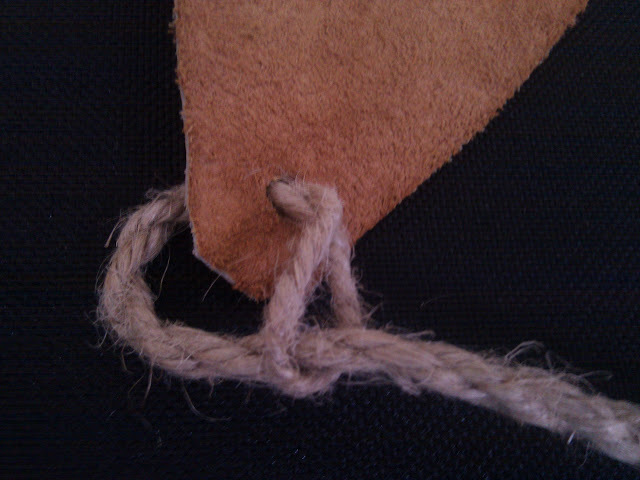 The release cord has a double overhand knot and the retention cord has a perfection loop. There is nothing really special here, I just wanted to document it for the FAQ thread. Please do! I only went with reverse twisting some twine because this was a primitive skills event. 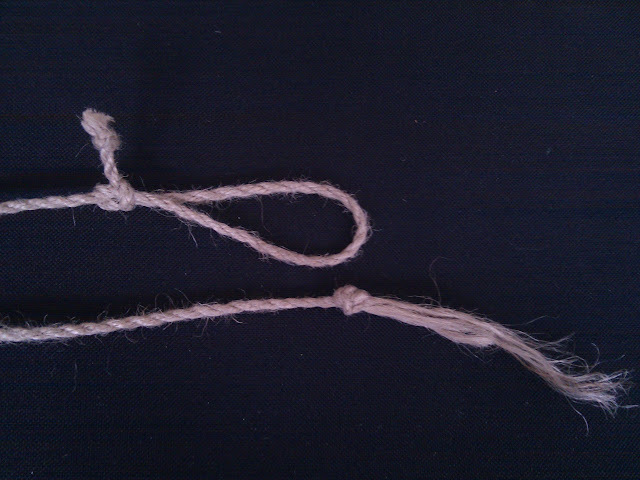 Otherwise I would have gone with paracord using a little noose as the attachment. The ladder pouch is probably my favorite design for leather, it works really well. I'M kind ofnew to this, and my sling making skill -well the end result isn't quite what I envishioned! I'll give this model a try. Thanks for posting! I've done something similar for a pouch, but instead of the slots I just had a 1" round hole. (5 cm to residents of advanced countries). I'm not up the the twisted twine lines though. What is that leather? Reminds me of a basketball I had when I was a kid, down to the color. Have you tried putting the slits the other direction? I wonder which might work best??? (sound of tinkling glass)... Damn!!! Yes I have. Lengthways slits are much less effective.